Profile: Fort Sam Houston, occupying a sizable portion of San Antonio real estate, is one of the oldest military bases in the country. Buildings 145, 146, 147, and 149 were constructed in 1908 as administrative spaces and dormitories. 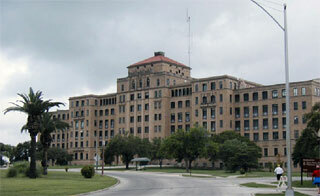 The four historic buildings were renovated for the use of the 106th Signal Brigade. Building 145 accommodates 51 staff personnel and was remodeled as a network operations center with NIPR/SIPR/DSN at each workstation, CATV, and video wall/screens. The command conference room includes secure VTC capability, and redundant power to obtain "five nines" (99.999%) in reliability. Services: DataCom Design Group designed the infrastructure to support IT (voice, data, and wireless), overhead paging, security access control, and CATV.